Sisters Elementary is a high performing academic school enriched by generous community support. The school provides a well rounded curriculum in academics and the arts. Students receive strong instruction in reading, math, and writing with regular monitoring of progress and opportunities for remediation and acceleration. They participate in physical education and music classes each week on alternate days. There is an emphasis in making learning fun in an environment that is highly respectful and safe. We pride ourselves in our commitment to teaching positive behavior that demonstrates responsibility and a genuine respect for others. We strive to engage parents in their child’s education through frequent communication, family events, and opportunities for volunteering time or talents. 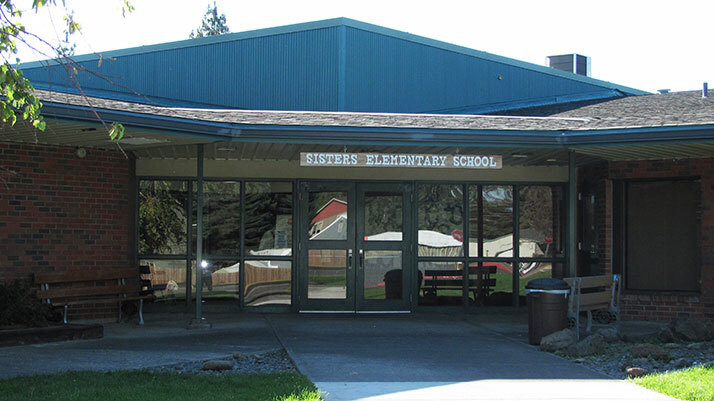 Sisters Elementary is a K-4 school with approximately 300 students with small class sizes and an excellent staff. Our Title 1 reading program provided by a reading specialist is exemplary in its ability to help students reach grade level standards and provide assistance to teachers to ensure quality reading instruction throughout the grade levels. Our special education department effectively serves a wide variety of students with disabilities. We are very fortunate to have a half time counselor and nurse available each day. Sisters Elementary received the highest rating, “outstanding” on the statewide report card for student achievement in reading and math in 2009, 2010 & 2012. Since the inception of the statewide report card it has always received a rating of strong or exceptional. All of our teachers are “Highly Qualified” as defined by the No Child Left Behind Act and all instructional assistants meet the “Highly Qualified” status as defined by current law. Sisters Elementary is committed to on-going instructional improvement and meeting the needs of all learners so they can reach their highest potential. Teachers engage in weekly professional development on School Improvement Wednesdays from 7:30-8:30. Teachers work in teams to learn and share instructional strategies, review student progress, and develop curriculum and assessments. Sisters Elementary provides a very nurturing environment that upholds high academic and behavior standards. The staff takes pride in their love for children and giving the gift of learning.